Gyudon 牛丼 is a Japanese dish consisting of a bowl of rice topped with beef and onion simmered in a mildly sweet sauce flavored with dashi (fish and seaweed stock), soy sauce and mirin (sweet rice wine). If you’re wondering what to eat when you’re in Japan, this is definitely one thing you’ll wanna try! I only started eating beef less than a year ago, and gyudon was the reason why I even started at all. 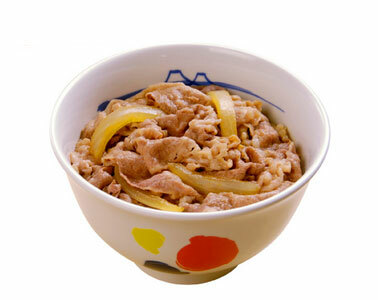 I used to find beef too “smelly”, but I don’t have this problem with gyudon! In fact, I love gyudon so very much I’m missing it dearly now. Can’t wait to eat it when we return to Japan! Fu still can’t wrap his head around the idea that I love gyudon (when I hated beef all my life till one year ago) but he’s really happy cause he loves beef! Now, not only does he not have to feel guilty making me wait while watching him chow down his gyudon, I often request to eat it before he even suggests it! 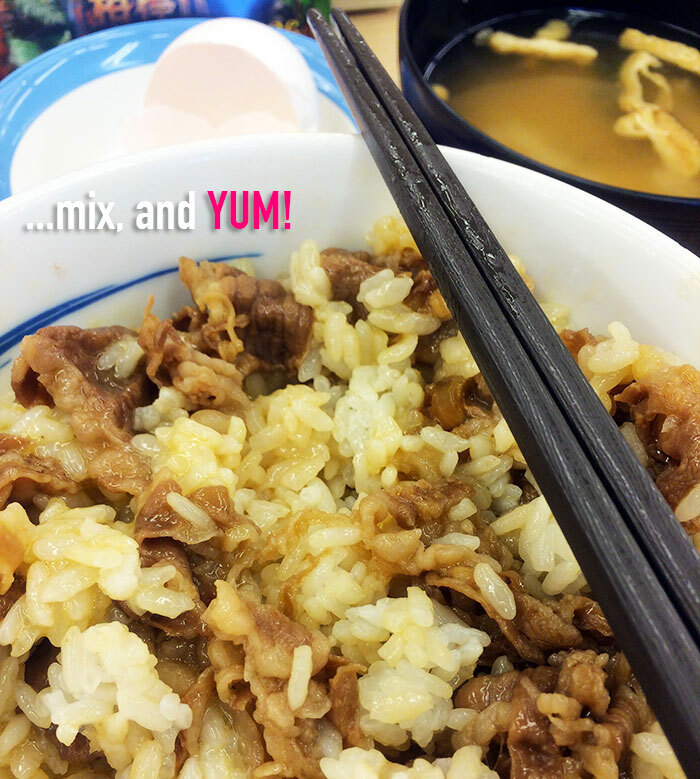 There are 3 major gyudon chains in Japan – Matsuya, Sukiya and Yoshinoya – and I’ve tried them all. 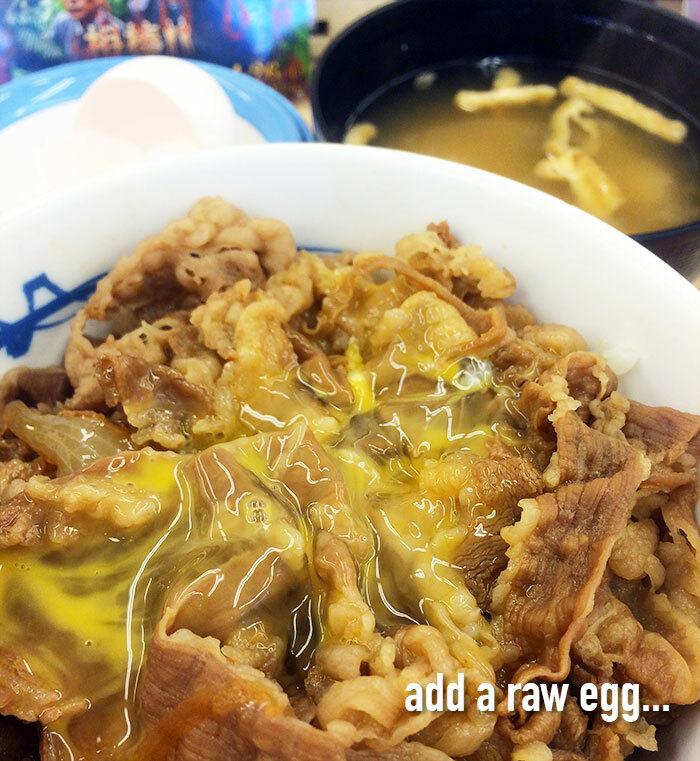 Before we move on to the results, let me first state upfront that the BEST way to eat gyudon is to beat in a raw egg. The idea used to be revolting to me. Taste aside (even though it’s a major concern!) what about the freshness of the egg?! Catching salmonella from a beef bowl sounds rather pathetic. All I can say is, if there’s any country I trust when it comes fresh food, it will definitely be Japan. Their fussiness when it comes to food freshness is second to none! Well, if you’re uncomfortable with the idea of raw eggs, the gyudon is plenty delicious on its own. But the egg does make all the difference. I’m serious. 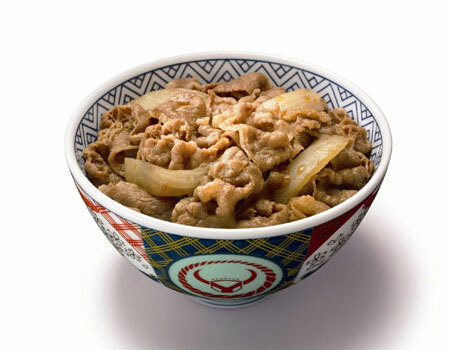 Many of my Singaporean friends come to Japan thinking to eat the Yoshinoya gyudon in Japan because it must be much more delicious than Yoshinoya branches in Singapore since it is in Japan and all that. Sorry to break the news, but Yoshinoya’s beef bowl is actually the most mediocre gyudon I’ve had in Japan. Taste – The beef was slightly dry and the onion pieces weren’t soft enough. The sauce was extremely uninspiring and disappointing. To me, the sauce is a major component of gyudon, thus it is a big strike against it. Worst of the 3. Quantity – It felt like it had the most meat. Probably because it wasn’t that delicious and I was struggling to get through the bowl. Objectively speaking though, the amount of meat ties for first place with Sukiya. Price – 300 yen for gyudon. 60 yen for miso soup. 60 yen for egg. 420 yen in total. Last place. In Japan alone, there are more than 1,800 Sukiya restaurants! 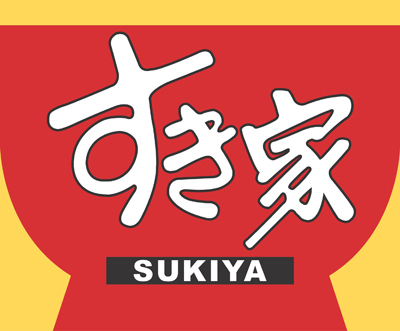 Sukiya does not have presence in Singapore, but has branches in China, Brazil, Mexico, Thailand and Malaysia. Taste – Beef, onions and sauce are all decent. Onion pieces can be rather large at times, but this varies between chains and days. Ranked 2nd place. 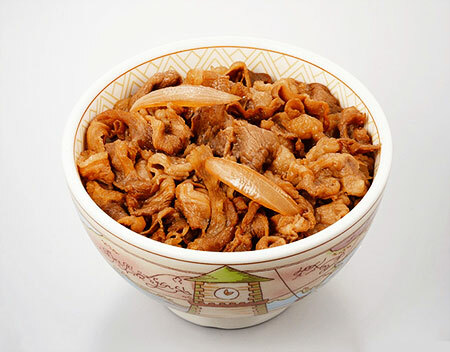 Quantity – Amount of meat ties for first place with Yoshinoya. 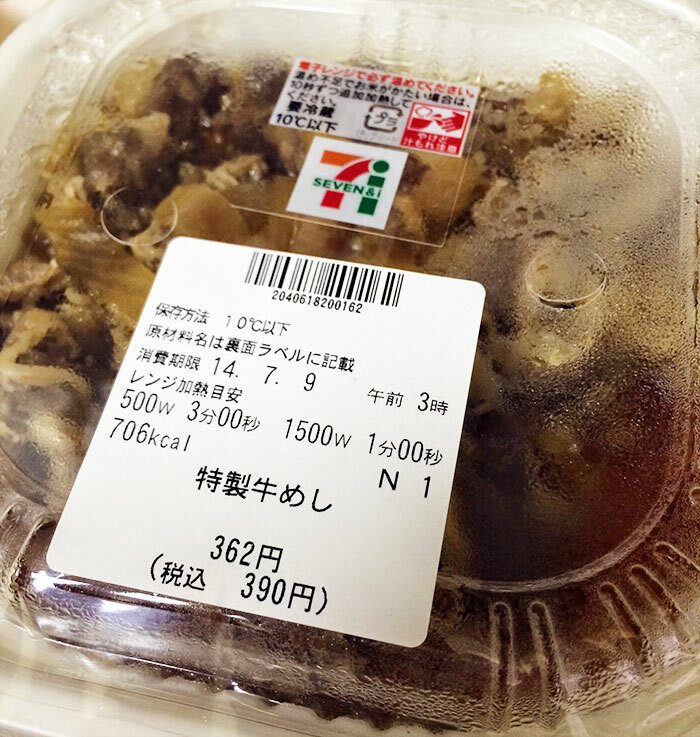 Price – 250 yen for gyudon. 100 yen for miso soup and egg set. 350 yen in total. Tied with Matsuya for 1st place. The champion of gyudon in Japan! Matsuya has about 1,000 restaurants in Japan, and about 7 overseas in Shanghai and New York. Taste – I LOVE the sauce! Beef and onions are also perfectly cooked every time. Beef is tender and onions are of the right size and softness. Hands down 1st place! Quantity – Matsuya’s gyudons have significantly less beef than the other 2 chains :( Last place. Price – 290 yen for gyudon and miso soup. 60 yen for egg. 350 yen in total. Tied with Sukiya for 1st place. Yes, I am well-aware that 7-11 is not a gyudon chain. BUT! They absolutely hold their own even when comparing to the heavyweights listed above! Taste-wise, I would go as far as to say that it ties with Matsuya! Yes, the champion! The price is much higher, but for the convenience, it’s a reasonable tradeoff. Due to traveling inconveniences, this beef bowl is definitely the one we’ve been eating with the highest frequency of late! 7-11 is everywhere and it’s really easy to get a fix for my cravings! I also like that for one price, you get both gyudon and miso soup. This is handy for times when we feel cheapskate thrifty and remember to bring our own eggs from home :D But ok la, we almost never do this nowadays since we don’t live near any Matsuya’s. However, 7-11 is a very close second choice when I don’t feel like hunting down a Matsuya’s, or if I’m home (I don’t live near any Matsuya restaurant). I rarely eat at Sukiya now that I’ve discovered 7-11. But if in a pinch, I wouldn’t mind eating at Sukiya. Yoshinoya? Forget it. That one time I ate there was my first and last time. I will never eat the gyudon there again, even if there is nothing else in the surrounding area. That marks the end of this post! Have you tried any of these and agree/disagree? Or do you have your own favorite gyudon in Japan? Let me know! But next time I’ll let you try the 7-11 one too. It’s really a close fight, which is quite a feat, considering that 7-11’s is not freshly cooked!